Advanced practice nurses play a pivotal role in the complex health care industry. A registered nurse can progress the advanced practice after completing a master’s or doctoral degree in a nursing specialty. After the California Board of Registered Nursing issues a licensed for advanced practice, the APRN can practice medicine without the supervision of a physician. With the current demand for primary and specialty health care, APRNs help to fill the gap in rural and underserved areas. They are the industry’s solution for cost-effective and accessible care. The masters of science in nursing program equips registered nurses with the theoretical concepts that they will use as a guide to clinical practice. They learn to collaborate with physicians to diagnose and treat patients and prescribe medications. The general duties of an APRN include, but are not limited to, obtaining health histories, developing differential diagnoses, evaluating patient’s response to a care plan and adjusting the plan for a positive outcome, conducting comprehensive physical examinations, arranging for patient referrals, and participating in research studies. MSN programs prepare students to become capable practitioners of health care. The curriculum emphasizes patient-centered, high-quality care for a diverse, multicultural population in various settings. To be considered for admission in this specialized learning program, applicants must possess a baccalaureate degree and a registered nurse license. Flexible schedules and online study are attractive to working adults. Some programs offer full-time and part-time schedules for greater flexibility. Full-time students can usually complete the degree requirements in five semesters, but the program can be extended to 9 to 10 semesters of part-time study. The curriculum employs a combination of theory and practical learning which can include up to 800 hours of clinical work in some programs. Students should identify an area of concentration before enrolling in the program as some schools begin study in the designated area of study within the first two semesters. The primary areas of study include certified nurse midwives, certified registered nurse anesthetists, clinical nurse specialists and nurse practitioners. Additionally, there are specialty concentrations in school nursing, nursing administration, forensic nursing, family nursing practice, mental health nursing, and adult-gerontological nursing, and nursing education. Consult with an admissions specialist at the school of your choice or with health care professionals if you’re having a difficult time identifying a specialty that’s right for you. The clinical experience is an essential component of the program that provides opportunities to use your newly-developed skills and theoretical concepts in real-world environments. You’ll work closely with an expert in the nursing field who will direct your actions throughout the intense hands-on experiences. The experience is rooted in developing solutions to common and not-so-common scenarios. Your preceptor will be on hand as you develop solutions and make diagnoses using the information you already know. As such, the clinical practicum will prepare you for an advanced practice role through your development of critical thinking, communication, teamwork, and clinical skills. If you maintain employment throughout the program, you’ll need to work assiduously with your employer to schedule time for the mandatory practicum courses. The majority of California’s MSN programs require candidates to possess a BSN degree for admission. However, there are several other options depending on your prior education. RN to MSN: An individual who obtained a registered nurse license on the basis of an associate’s degree can enroll in the RN-MSN program as a fast-track to advanced practice nursing. The program saves both time and money as the student can eliminate repetition and also take upper-level courses while completing the undergraduate requirements. Enrolling in this type of program does not guarantee access to all graduate courses as admission will be based on merit. The fast-paced work requires commitment and diligence as well as availability to participate in the clinical requirements. Direct Entry MSN: The ideal applicant for this option should have a bachelor’s degree in nursing with a registered nurse license to practice. As more nurses seek to advance their status, enrollment in this program is often competitive. A shortage of qualified faculty also limits the availability of space in these programs. Once enrolled, students can complete the degree requirements within 2 to 3 years based on schedule and concentration. Post-Master’s Certificate: Post-master’s certificate programs are short-term courses that focus on a specific area of specialty for advanced practice nurses who need to specialize in another concentration. The applicant must possess an MSN degree and a licensed to practice as a nurse practitioner. Admission to an MSN program will be based on your academic preparation, commitment to patient care, and interest in advanced practice nursing. In cases of competitive admission where all applicants meet the educational requirements, you experience as a health care work or volunteer work will influence your admission. Hundreds of applicants across California apply for the advanced degree, but most schools are limited to 24 to 30 students annually. Check the school’s specific requirements for enrollment, and put your best foot forward during the application process. Work or volunteer experience in a clinical environment. There may be additional requirements based on your chosen area of concentration. You will have to secure admission for graduate study at the college/university before submitting an application to the Department of Nursing. Check the individual requirements for each step on the school’s website or visit an admissions specialist for complete and current guidelines for enrollment. Graduate study is an investment in your future, but it will make a dent in your finances. The cost of college tuition across the nation is on the rise, and California colleges are no exception. As a nursing student, you’ll need to budget for equipment, textbooks, and uniforms in addition to tuition, so the expenses will add up quickly. Funding opportunities are harder to source for graduate study as scholarships and grants can be very specific. However, if you’re resourceful, you’ll find a few programs that will help to reduce the burden on your wallet. Financial assistance comes in various forms, such as loans, scholarships, and grants. You may also be able to access employer resources, such as tuition reimbursement. Your employer may even be willing to fund your entire education with some concessions. The average tuition for completing an MSN degree in California is $25,900 for resident students and $38,200 for non-resident students. Online programs may cost less and offer greater flexibility to keep working while you study. However, it is important to weigh the pros and cons of the program delivery format to get your money’s worth. A candidate for nurse practitioner certification must possess an active California registered nurse license. Applicants with an RN license from another state must apply for RN licensure by endorsement before submitting a request for NP certification. Applicants with a permanent RN license in inactive status (in California) must apply to renew or reactive the RN license. Complete the Nurse Practitioner Application and submit to the Board of Registered Nursing. Enclose the non-refundable application fee of $150 payable to the Board of Registered Nursing. The fee for the temporary permit is $30. Disclose your social security number for tax enforcement purposes. The Board will deny an application for licensure from an applicant who has outstanding tax obligations. Report all misdemeanor and felony convictions, including driving under the influence Disciplinary actions taken against your professional license must also be reported. Provide a full written explanation of the circumstances surrounding the arrest, conviction, and/or disciplinary action and certified copies of the arrest and court documents and proceedings against your license. Complete the Verification of Nurse Practitioner Academic Program form and send to the program director who will complete the applicable section and forward directly to the Board. Request official transcripts of your education to be sent directly to the Board’s office. Complete the Verification of Nurse Practitioner Certification by National Organization/Association form. The form should be submitted the organization where you completed certification. The national organization/association should be one that is recognized by the California Board of Registered Nursing. Request a temporary permit if needed. The Temporary Nurse Practitioner Certificate is available only if you do not have a permanent California RN license at the time of application. The Board will issue a temporary permit based on the applicant’s qualification for a temporary RN license, a completed application for Licensure by Endorsement, and a completed application for Nurse Practitioner Certification. The application for RN licensure will be considered complete only after the Board receives verification of active and permanent licensure from another state and the results of a criminal background check received from the DOJ and FBI. Licensure by equivalency is for registered nurses who have not completed a nurse practitioner program that meets the standards of the Board of Registered Nursing. A completed Application for Nurse Practitioner Certification and the $150 fee. The Verification of Nurse Practitioner Academic Program form –sent directly from the program’s administration. The completed Verification of Clinical Competency as a Nurse Practitioner form – submitted by a nurse practitioner. 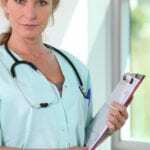 The completed Verification of Clinical Competency as a Nurse Practitioner form – submitted by a physician. The completed Verification of Clinical Competency as a Nurse Practitioner form – submitted by a physician and/or nurse practitioner. Your official transcripts indicating completion of a nurse practitioner program- submitted by the program’s administrator. The curriculum and course descriptions from the academic program- the course descriptions should be from the period of time you attended. The processing time for applications varies based on the receipt of supporting documentation from the academic programs and associations. Convictions and/or disciplinary actions will cause delays in processing an application. If your address changes, you must notify the Board with 30 days of making the change. For name changes, you must submit a letter of explanation and legal documentation of the name change. Advanced practice nurses must renew their registered nursing licenses biennially on the last day of the month following their birth dates. The Board will send out a renewal notice within three months of the license expiration – renewals can only be initiated within three months of registration. The renewal fee for the RN license is $140 payable via check or money order. If you’re renewing your license online, you can use the credit card option to submit your payment. 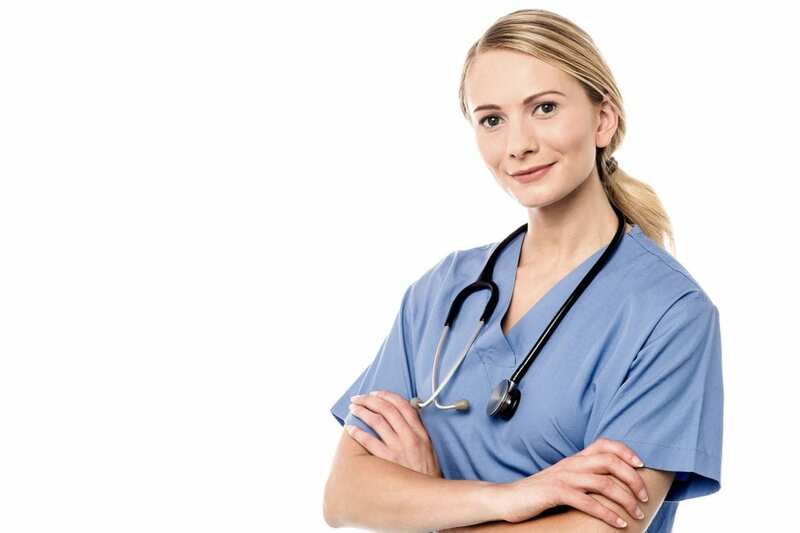 Advanced practice certificates for clinical nurse specialists, nurse midwife, nurse midwife furnishing, and nurse practitioner furnishing must be renewed at the same time as your RN license. There is an additional fee for renewing these certificates. Certificates for nurse practitioners, public health nurses, and psychiatric mental/heath nurses are automatically renewed with the RN license – there are no additional fees for renewing these certificates. Sacramento Valley Campus, 28602 Gateway Oaks Dr.